stylos: Hexham, Herder, the Gospels, and did Jesus speak Aramaic or Greek? Hexham, Herder, the Gospels, and did Jesus speak Aramaic or Greek? … it was also generally assumed, although seldom explicitly stated except by members of the Eastern Orthodox community, that Jesus spoke and taught Greek (328). 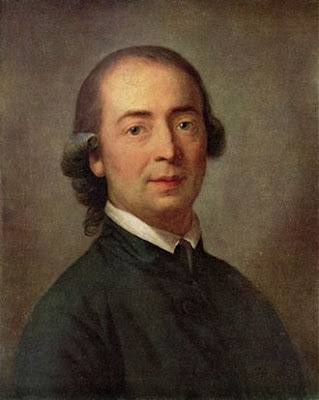 Then, in the eighteenth century, the German scholar Johann Gottfried von Herder (1744-1803) suggested that in reality Jesus must have spoken Aramaic (328). An argument in favor of this would be the Aramaic citations in the Gospels (see my post on Aramaic citations in Mark). Herder’s suggestion was widely accepted, and now it has become the received wisdom that Jesus taught in Aramaic, necessitating the translation of his words into Greek by the gospel writers (329). He suggests this new “Jesus spoke Aramaic” theory created a problem for the traditional understanding of the Gospels, because so many of the quotations from Jesus in the Gospels use identical words. Hexham said it was suggested that if Jesus spoke Aramaic and the Gospel writers independently translated his words into Greek, it would be unlikely that the quotations would be so exact. This led to the theories of literary dependence among the Gospels, suggesting that they either borrowed from a common source and/or from each other. On the other hand, if Jesus spoke Greek, as earlier commentators assumed, and as the Greek Orthodox Church still maintains, these passages are easily explained as exact quotations from Jesus (329). I find these observations intriguing. I have assumed that Jesus spoke Aramaic based on the Aramaic citations in Matthew and Mark. I was not aware of the Eastern Orthodox position was that Jesus spoke Greek or of Herder’s suggested role in tipping the balance to Aramaic. Hexham’s point on how this shift contributed to the rise of source criticism of the Gospels also makes sense. I’d like to study more on this…. This subject about the languages that Jesus did speak at that time is very intriguing and interesting to me, because interacts even with the "Historical Jesus" topic. In my opinion, some good articles that analyses it are "The language milieu of first century Palestine", by Robert Gundry and the following article: https://www.tms.edu/m/tmsj20e.pdf. VLB, thanks for the comment and, as usual, good suggestions. Yes, interesting. Hexham does not cite the specific work by Herder on this. I'd like to see that. Ideas on where to look? I did some looking today at writings by Bock on the supposed verba/vox distinction and Robert L. Thomas's response in "The Jesus Crisis," where both refer to the language of Jesus. I'll do another post with quotes on this soon. BTW, I couldn't get the tms.edu link to work. If don't work, try with another web browser.